Congratulations to our affiliates who earned their Duplication Bonus within the past 2 months. To get started with many affiliate marketing programs there is a sizeable start up or up front cost. This cost might go to inventory, products you need, or simply the cost to have access to the business. These up front costs can be quite hefty, especially since you haven’t even had a chance to build your business yet. But this is not so with GDI. Whether you’re just starting out or you’ve been with GDI for years, the cost is just $10 per month. Not only is this a low monthly cost, but it is the same cost that someone pays to simply get started with GDI. $10 is most likely the smallest amount of money you will need to start your own business and $10 per month is all it takes to start building income for life. Like many affiliate marketing companies, GDI offers you a great product to take advantage of and earn income as you share it with others. But unlike other companies, you don’t need to buy huge amounts of products that you must pay up front for and then find somewhere to store. With GDI, the product and services are all online. You have access to an unlimited number of products with just an internet connection and there is no need to pay up front for what you pass on to others. 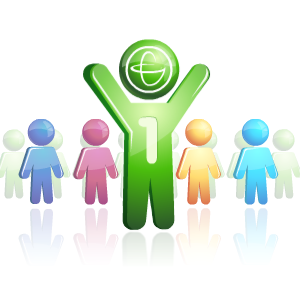 You simply pay $10 per month for GDI’s products and services and earn your income as you refer others. No up front fees, no products to ship.